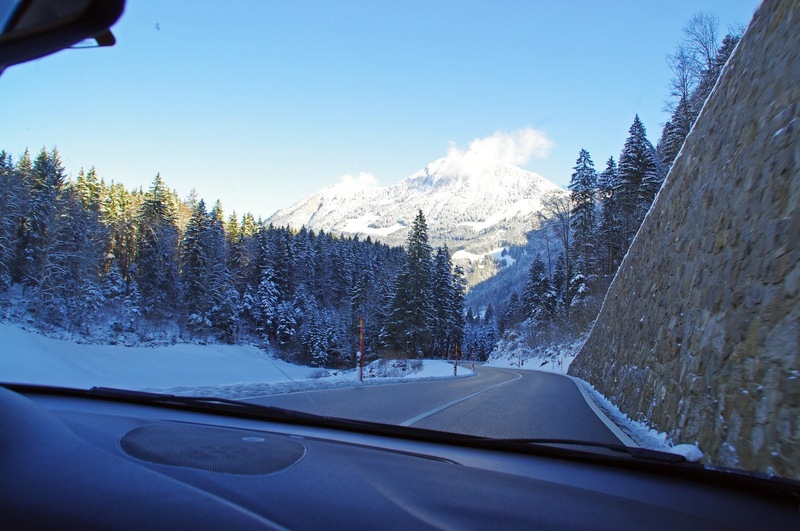 One of our favourite ways to experience a new country is by hiring a car and exploring at our own pace. 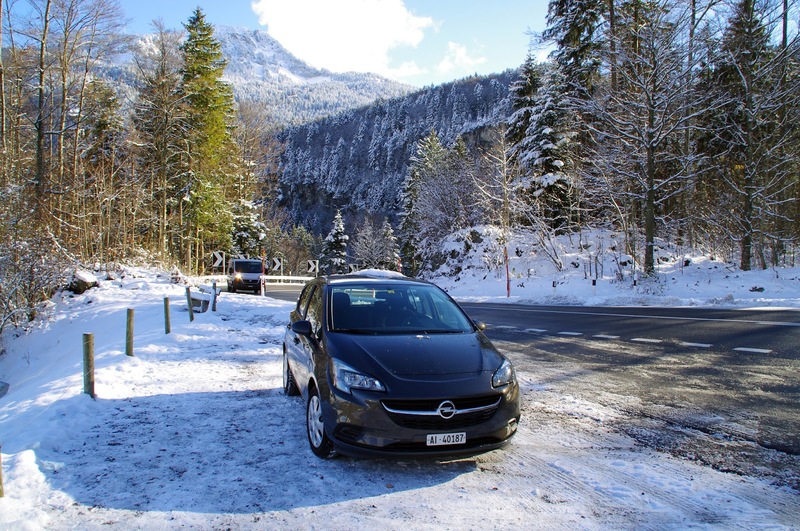 We love the freedom and flexibility that we get from a car as we have the ability to get off the beaten track and see as much as possible. It has been a long time since our last road trip which was around the West Coast of Ireland in May with my parents who were visiting from Australia. We visited Switzerland for our anniversary in November and spent the most perfect few day exploring the Swiss Alps on our road trip. We always book our cars before we arrive as we find the prices at the airport for car rental can be ridiculously hiked up compared to online. 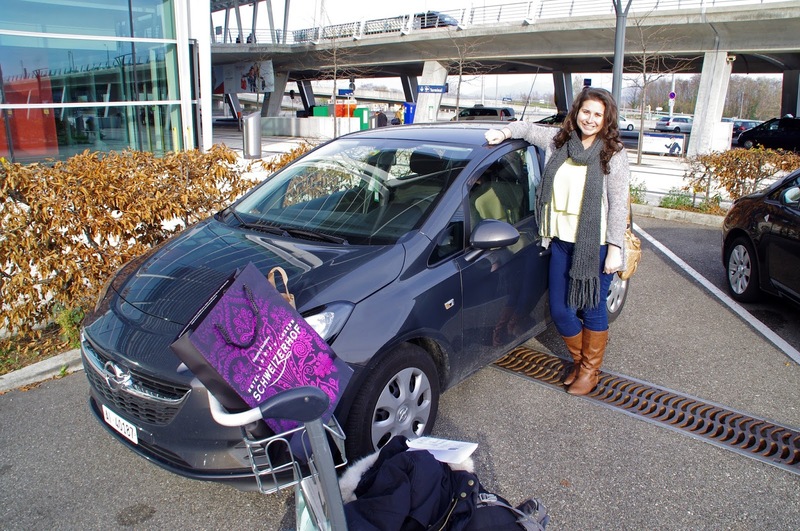 We booked through Atlas Choice Car Rentals who at Basel Airport are serviced by Enterprise. The total price for our booking including paying an additional extra to lower our excess was £100.28 for four days car rental. 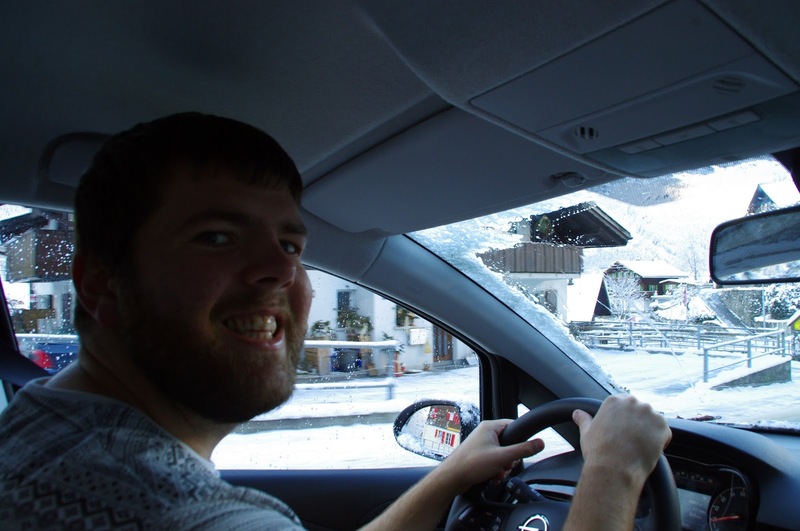 Cars in Switzerland must have a vignette in order to drive on the motorways and when you rent a car in Switzerland they already have one which is handy. 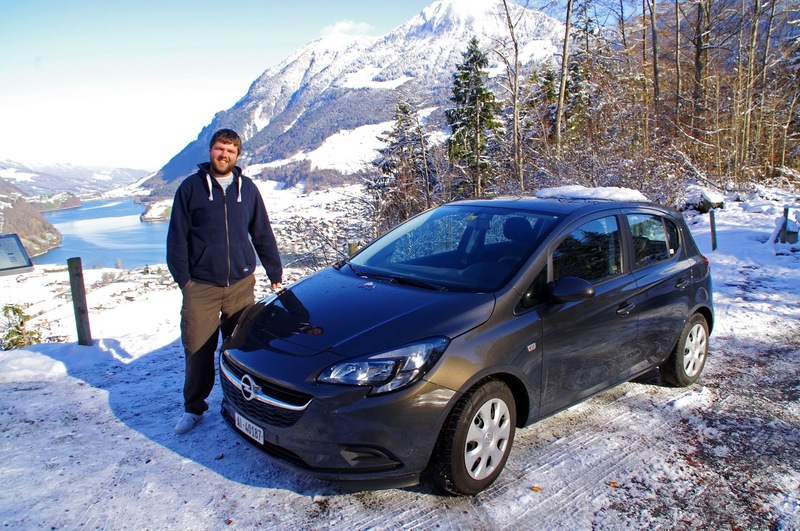 If you are bringing a rental car into Switzerland from another country you will need to purchase one (they cost CHF 40). 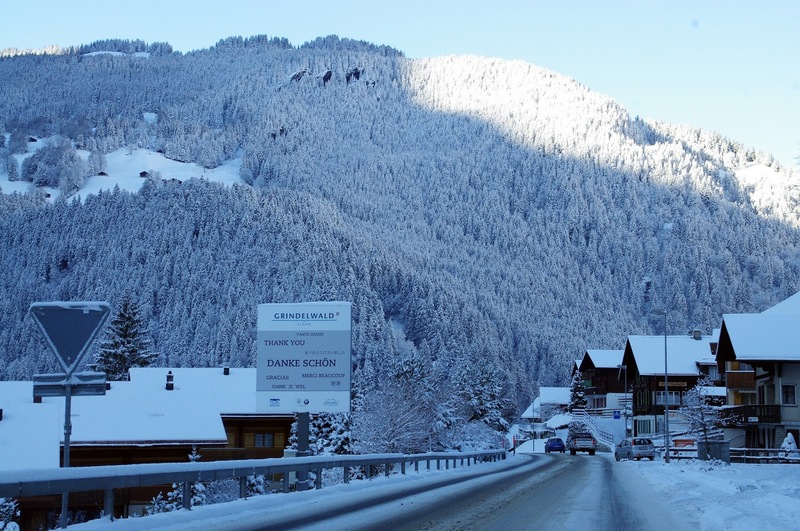 Collecting our car was easy enough at the airport and then off we went headed for the Alps! We opted not to hire a GPS and decided to just rely on the few maps that I had downloaded on my phone. We did get a litttttle lost getting from the Airport to the motorway and ended up driving through Basel but we got on track eventually. Once we got on the motorway we didn’t get lost at all for the rest of the time we were away as the roads were so well signposted. Dan drove for the whole weekend as I didn’t feel overly comfortable driving on the other side of the road. He has done it a few times before and it didn’t take him long to get used to it again. 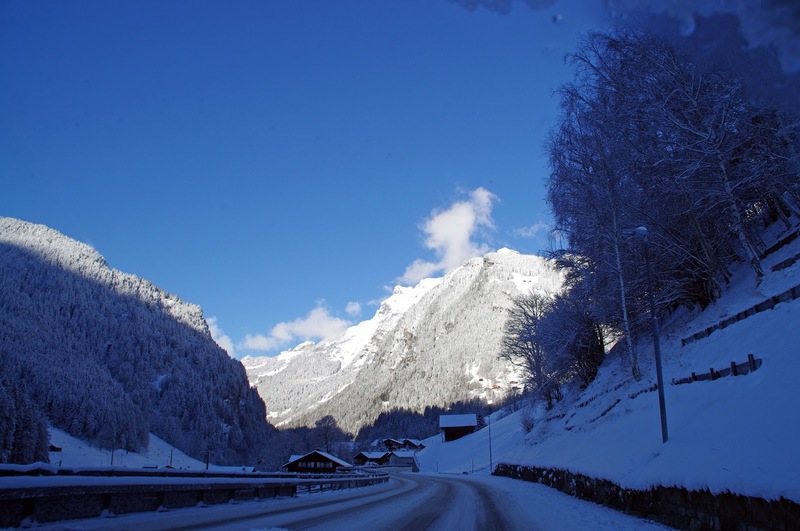 It was only a two hour drive from Basel to Grindelwald and the roads couldn’t have been any smoother or well signed once we made it onto the motorway. The longer we drove the more snow we could see in the distance which had me very excited! 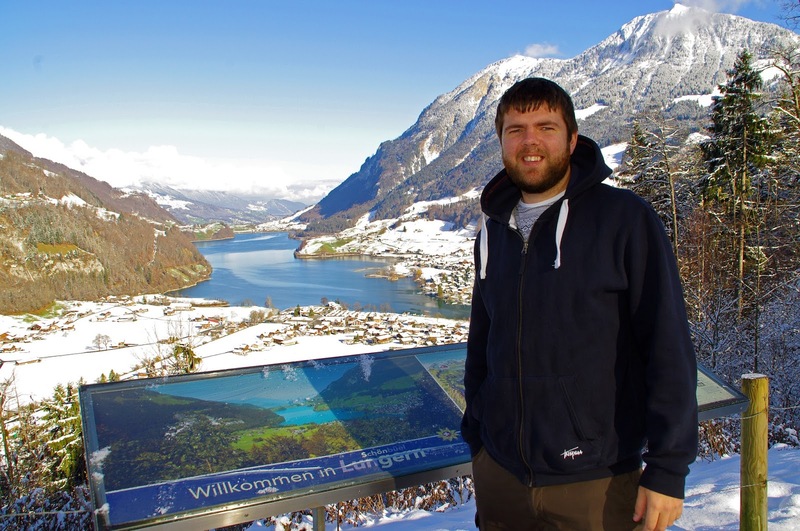 We were blown away by the breathtaking scenery as we drove along Lake Thun, through Interlaken and slowly wound our way up into Grindelwald. We couldn’t believe how much snow there was as it was only November and there was so much more than we were expecting. 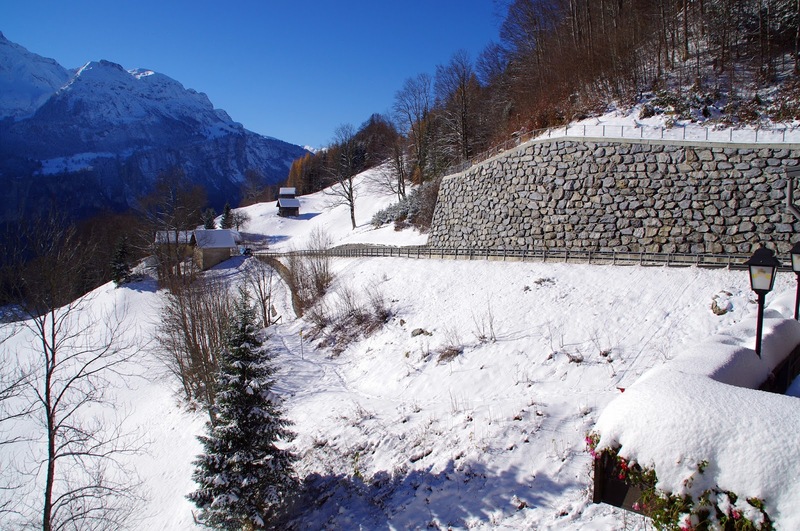 When we checked into the gorgeous Hotel Belvedere Grindelwald the staff told us that this morning had been the first decent snowfall of the season, how lucky were we! 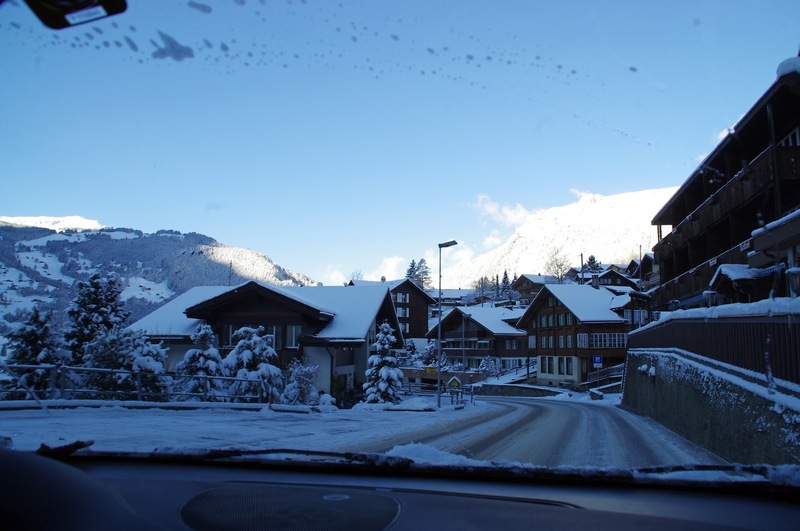 If you’ve been following the blog or following us on Instagram or Facebook then you will know we absolutely fell in love with Grindelwald, the most picture perfect village in the Alps! 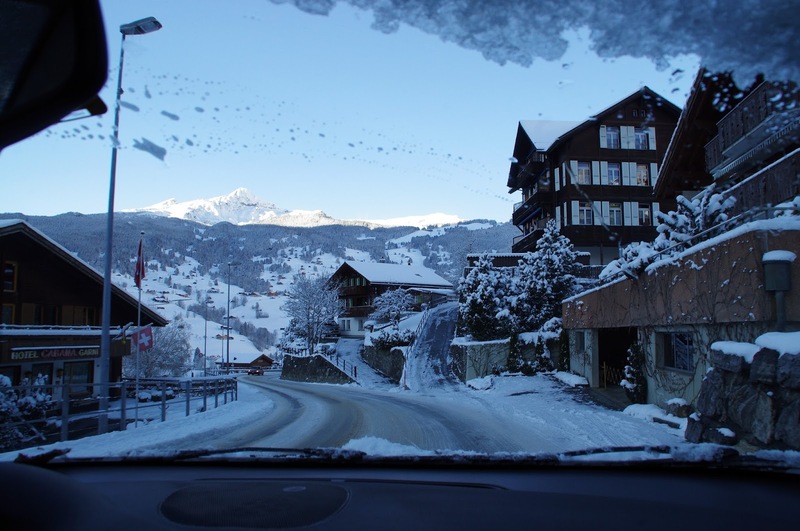 We were lucky enough to have a huge amount of snow during our time in Grindelwald and on the day we checked out of the hotel we discovered our car had turned into a giant iceblock! Oops! It was the most snow Dan or I had ever seen on any of our cars before. We unfortunately didn’t have an ice scraper and luckily a lovely member of the hotel staff saved me from having to use my jacket arm to try and get the ice off! 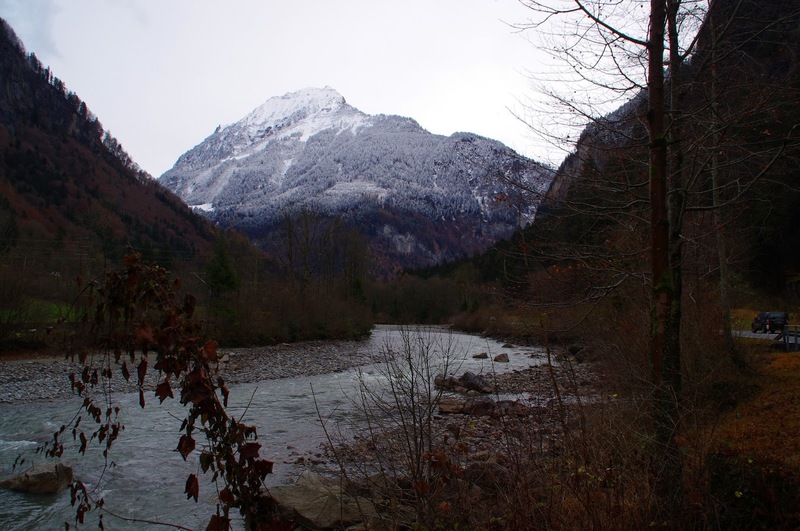 Once we’d successfully de-iced the car and I had taken a (graceful) fall or two in the icy carpark due to my inappropriate footwear, we slowly (and sadly) left Grindelwald headed towards Lucerne which was our next destination. 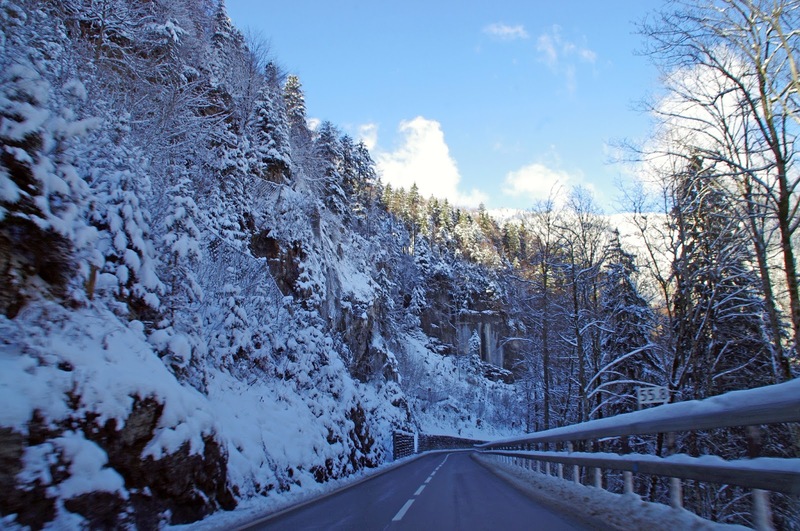 We thought our drive would just take us along motorways to Lucerne but instead we drove through the most stunning scenery, around mountains, past stunning lakes and back high up into the snow, which we were really excited about as we thought we’d left the snow behind in Grindelwald. 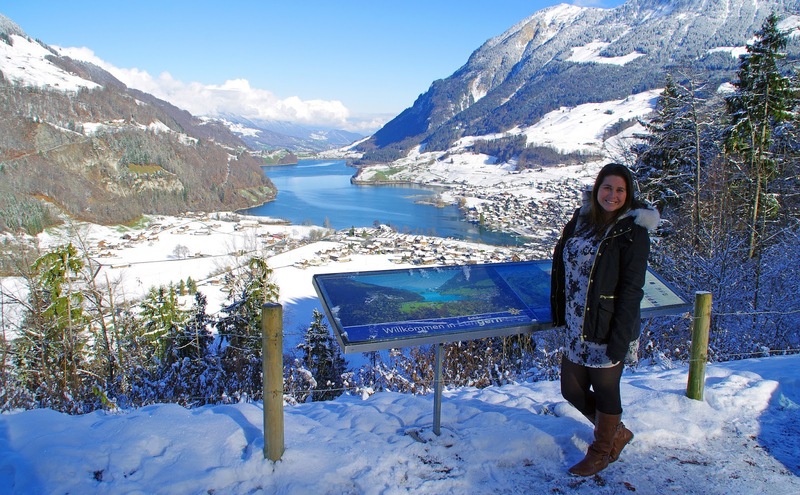 Our favourite place that we stumbled across during our drive was this viewpoint overlooking beautiful Lake Lungern. We had to pull over and stop to fully admire this majestic spot! 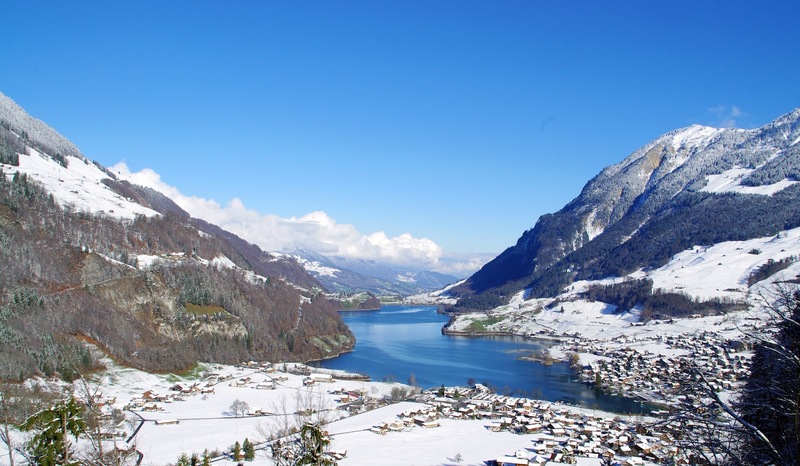 We had no problems finding Lucerne and our hotel, the beautiful Hotel Schweizerhof Luzern which was located right on the shores of Lake Lucerne. Unlike Grindelwald where we had free parking, the parking in Lucerne was CHF 30 per night, which is really quite expensive for parking. 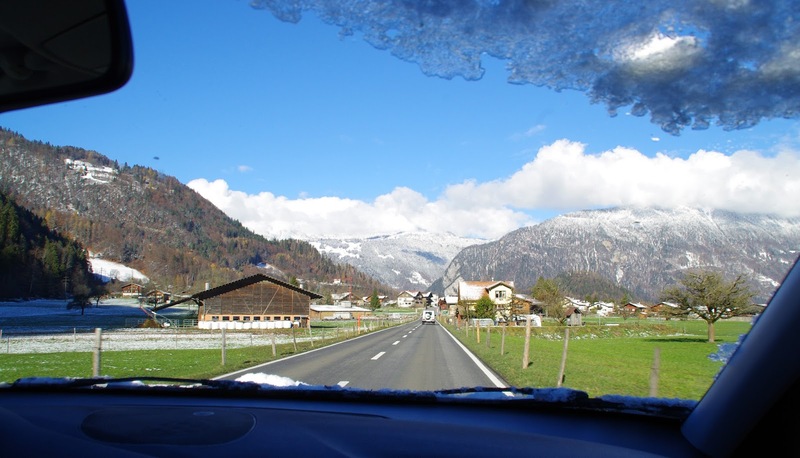 From our research most cities in Switzerland are very expensive for parking so that is just something to keep in mind if you are planning to stay in cities during your Swiss road trip. After leaving Lucerne we headed back to Basel to head fly home. After just a few days we were really sad to be dropping our car off and we couldn’t believe how attached we became to our little car. 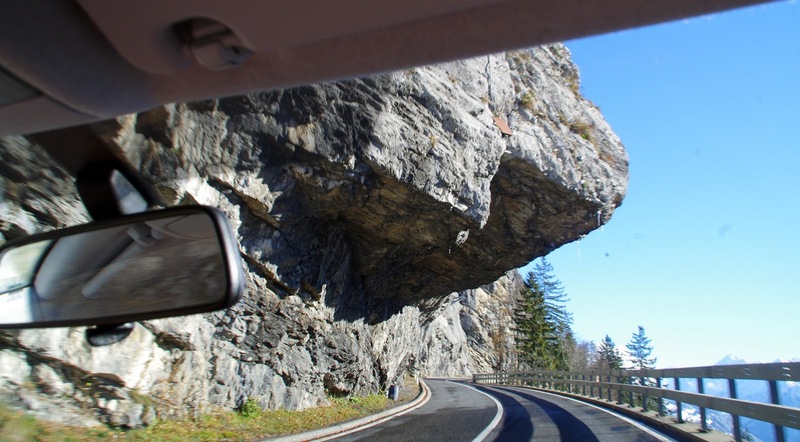 We love road trips and our Swiss Alps road trip was no exception! 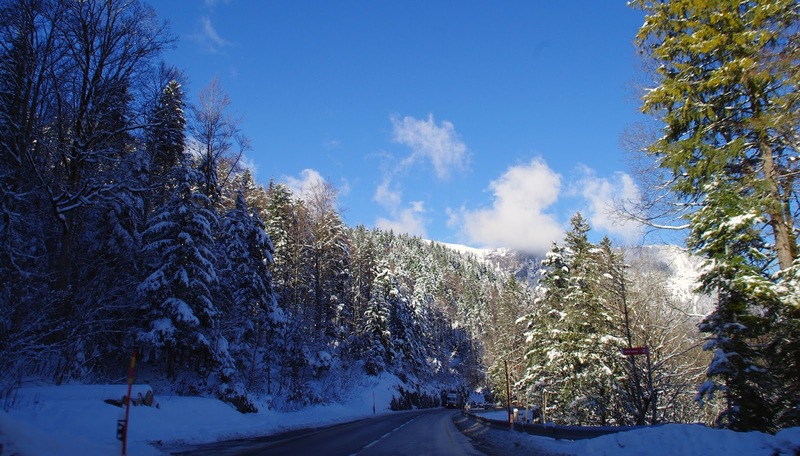 It was so amazing to drive through beautiful snowy passes, ridiculously long tunnels, past breathtakingly beautiful lakes and have the freedom to stop and take photos whenever we wanted too! 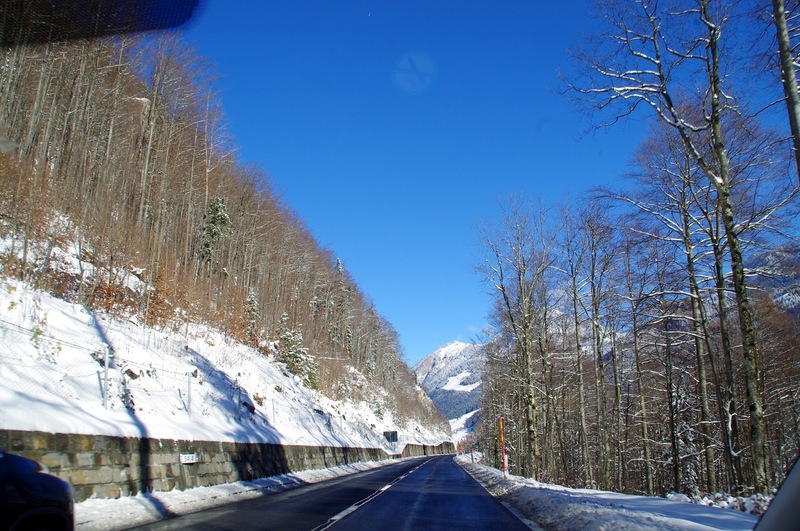 The Swiss roads were all perfectly maintained, well signposted and we had no troubles whatsoever! If you are visiting Switzerland we highly recommend driving, we loved it and can’t wait for our next road trip which is Scotland in a few weeks time!